After a very wet rainy season every one is very exited for the peak season to start. We have been busy with lots of mainte-nance projects to get ready. We always try and do big maintenance jobs in the quieter months, the only problem is that in those months we have another challenge to deal with all on its own, the annual rains. Although we are always very happy for the rains after a long and dry summer it does create some difficulties for us. But we always endure and push through. This year we started with one of our big shelters, we only wanted to do mainte-nance by replacing the thatch. 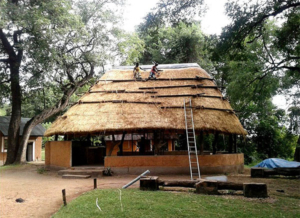 But after inspecting poles we decided to take off all the poles and redo the whole roof, it took longer than usual because we would work for two days and it would rain for three, but we pushed through on the end and what a beauti-ful roof we have now. Another project was our swim-ming pool, as all our regular guests know, our pool had a pool liner on the inside. We decided to remove it and re-do the inside with concrete and white cement and also added two lights and steps. 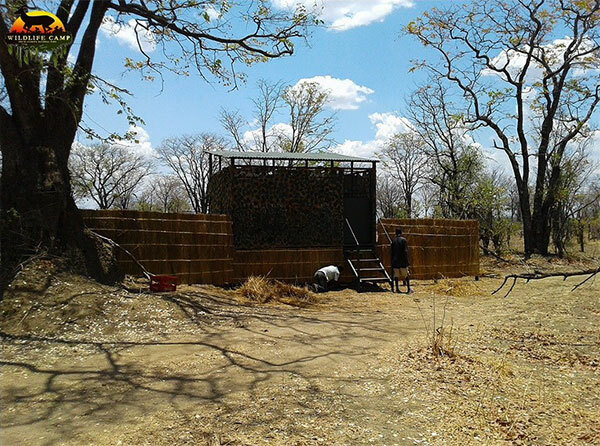 Our Bush Camp also had to be rebuilt in May and we had our first guests beginning of June. 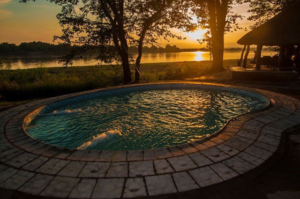 The Bush Camp is situated on the banks of the Luangwa River under huge Natal Mahogany trees of which the shadows is a big relief from the sun in the hot months. Relax around the riverside fire while enjoying all the night sounds, including the grunt of the hippo or the lion roaring. 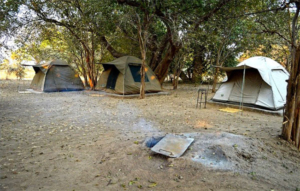 The area that we are operating our Bush Camp is exclusively used for Walking Safaris so you are certain of a authentic bush experience. 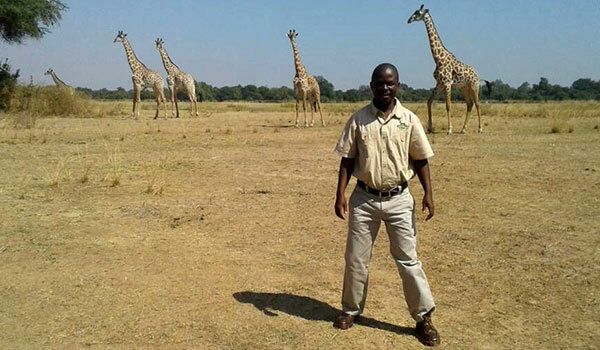 Meet Joseph Zulu, commonly known as BJ “Big Joseph” although the name says Big Joseph he is one of our small-er staff members. He has been with us for 14 years where he started as a waiter for 4 years, barman for 3 years and he has been a guide for 7 years. It was in his days as barman that he developed his interest in becoming a guide. His brother Mtimba Zulu gave him driving lessons and sup-plied him with some much needed studying material. His friend Philemon Banda helped him with note-books and took him with on game drives every time he was free and so helping him with some first hand bush experience. Last but not least our Director Herman Miles gave him the opportunity to spend some time in the work-shop and learn all the basics about the vehicles, and also encouraged him to work hard and keep on studying to be-come a guide. At home BJ is a devoted hus-band and father of 2 and al-ways makes time to help out at home. When he has the time he likes to listen to Gos-pel music or read religious books or novels. He was born in Chipata then moved to Copper belt as a baby, at age 11 the family moved to Jumbe where he completed school at Mambwe High School. BJ recently passed his practi-cal exam to become a walking guide and he is very exited in what the future holds for him. The time has finally arrived for him to live out his dream and passion. 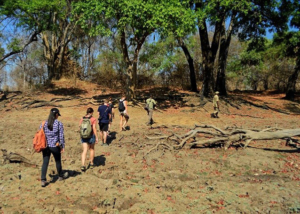 We are in a fortunate posi-tion to have access to a pris-tine GMA wilderness area where we can conduct Walk-ing Safaris without entering the park. This area is a few hundred hectares big and totally isolated from the public. On the GMA walks all the animals that roam the park can be found on any given day. Our Bush Camp is also situated in this area. We also conduct Walking Safaris inside the park and our experienced guides can take you on foot to explore all the wonders the South Luangwa offers, from the tiniest detail to the more dangerous wild-life that calls the Luangwa Valley home. 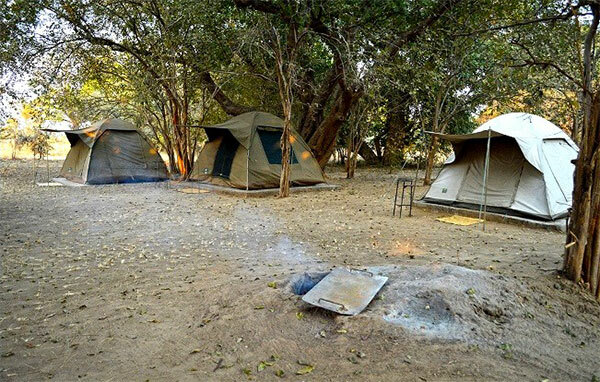 A welcome addition to our camp is our hide next to the campsite. We were looking at something extra to give to our guests at no extra charge and we came up with the idea to build a new hide next to the waterhole on the edge of the camp. We also had some deci-sions to make as where to build the hide and which direc-tion it should face. 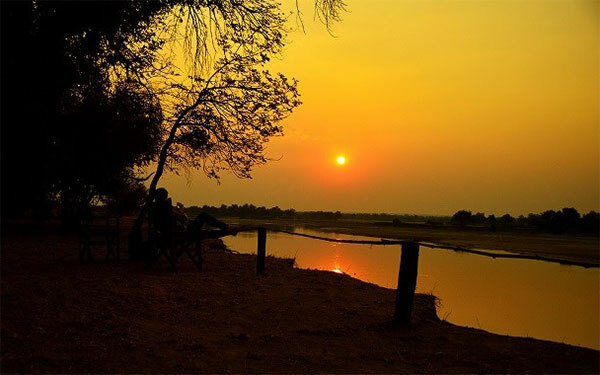 We came to the conclusion that most animals make use of the water-hole in the afternoon and so we placed it with the after-noon sun at our backs and looking into the unspoiled bush. Take all of this into con-sideration add some animals and you have all of the ele-ments to take beautiful wildlife photographs even for begin-ners. 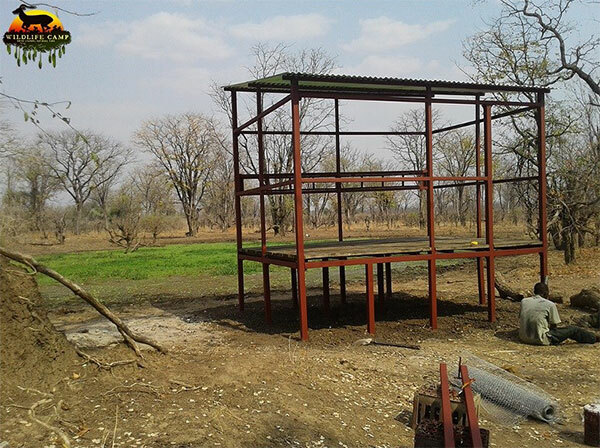 The hide has a steel frame with a high roof so the hot air in our hot months can escape. Make sure to take along some drinking water and prepare yourself to settle down for a while and enjoy the sense of anticipation as you wait for the first thirsty visitors. Though the hide is a safe and secure location care should be taken when inside as the ani-mals can pass the hide as close as a meter from the hide. 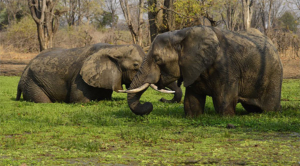 Al-so great care should be taken when on your way or leaving the hide, wild animals roam freely and bumping into one of them will not be a pretty picture. Kamangu is a messenger drum that was used by the Kunda people of Mambwe District to communicate. Its loud nature made this drum perfect for communication. The elders of the Kunda people will beat the Kamangu drum, the message sending drum, to announce that the Malaila traditional ceremony will begin.